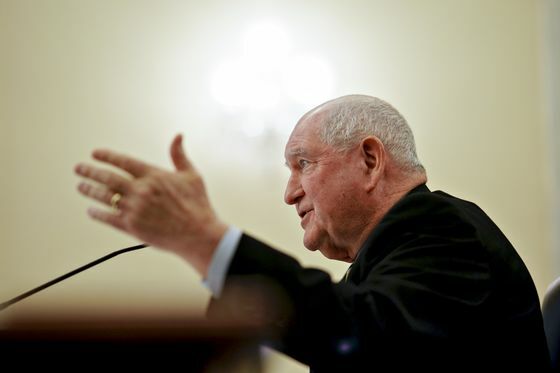 (Bloomberg) -- China could as much as triple its purchases of American farm goods as part of a trade deal between the nations, U.S. Agriculture Secretary Sonny Perdue said. Purchases of that size would likely be a huge boon to U.S. crop markets that have been caught in the trade war crossfire. Soybean, pork and ethanol shipments have all languished amid the duties. China is a key destination for most of the world’s biggest agriculture markets. China has already made some good-faith purchases of American soybeans after declaring a trade truce with the U.S. in December. As part of the broader trade discussions, agriculture talks have included discussions of China buying not only more U.S. soybeans, but other grains, including corn, as well as meats, Perdue said. Increased farm purchases by China is one of the “easiest” things for the nation to promise as part of the larger negotiations, he said. Meanwhile, the record flooding in the U.S. Midwest that’s inundating roads and flooding fields is also causing damage to soybeans that are in storage, Perdue said in a separate interview Monday. “Flooding damage out of the Midwest is also damaging some soybeans in Iowa and Nebraska along the swollen rivers there in some soybean storage, so it remains to be seen how many beans we lose there,” he said.